Drs Michelle Thunders and Jeremy Owen have been appointed to Research For Life’s Research Advisory Committee. The Research Advisory Committee evaluates applications for funding in terms of their scientific merit, methodology, likely outcomes and outputs. They replace Prof Brett Delahunt, Professor of Pathology and Molecular Medicine at the Wellington School of Medicine and Health Sciences, University of Otago, and Dr David Ackerley, Professor of Biotechnology at Victoria University’s School of Biological Sciences. Dr Ackerley has been a member of the Research Advisory Committee for the past 10 years and Prof Delahunt joined the Committee in 1991 and lead the Committee as its Chair from 1997 to late 2017. 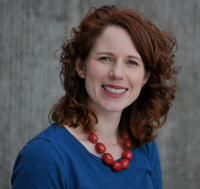 Dr Michelle Thunders is a Senior Lecturer in the Department of Pathology and Molecular Medicine at the University of Otago, Wellington, and has a PhD in Human Genetics from University College, London where she completed a BSc (Hons) in Human Genetics. Prior to her current role, she was Senior Lecturer Health and Life Sciences with the School of Public Health, College of Health, Massey University. Michelle has over 12 years’ research experience. Dr Jeremy Owen is a Senior Lecturer in Biochemistry at Victoria University’s School of Biological Sciences. A graduate of VUW, he has a PhD in Biotechnology, a Bachelor of Biomedical Science (BBmedSci) with Honours (1st Class) and a BBmedSci majoring in Human Genetics. Prior to joining VUW’s School of Biological Sciences, he was a Postdoctoral Fellow at the Laboratory of Genetically Encoded Small Molecules, at The Rockefeller University, New York. The committee’s other members are Dr Rebecca Grainger (Chair), Dr Peter Bethwaite, Professor Anne La Flamme, Associate Professor Peter Larsen, Professor John H Miller and Dr Robert Weinkove. Dr Rebecca Grainger, Chair of the Research Advisory Committee, said: “Jeremy and Michelle are highly respected medical researchers and we welcome their appointment to the Research Advisory Committee. “Jeremy brings specialist knowledge in genomics and microbiology with a broad base in Biomedical science. Jeremy’s skills and talent have been recognised by grants including a Royal Society of New Zealand Fast start grant in 2015 and he was a Rutherford Discovery Fellow in 2016. “Michelle’s expertise in genomics and bioinformatics will be invaluable as the RAC sees an increasing number of grants for exciting biomedical research in this area. Original generation time 1.9192 seconds.